Have you seen the ‘Sweet Surprise’ TV ads by the American Corn Growers Association? You know, the commercials which challenge you to report what’s specifically wrong with high fructose corn syrup. They actually claim that this syrup is ‘made from corn, doesn’t have artificial ingredients, has the same amount of calories as sugar and [is] fine in moderation.’ In fact, high fructose corn syrup is anything but natural and it’s high time to shed some light on this ingredient lurking in so many processed foods. Let’s start by clearing one huge myth: also known as ‘corn syrup’, ‘corn sugar’ or ‘natural corn sugar’, high fructose corn syrup (HFCS) is NOT the same thing as table sugar (sucrose), fructose (from fruits) or simple corn syrup. Those who claim otherwise are simply trying to persuade you that there is nothing wrong with HFCS and that you shouldn’t think twice about consuming it. You see, table sugar is 50% fructose and 50% glucose whereas the proportion of fructose in HFCS varies – the most common types of HFCS are HFCS 42 and HFCS 55 which contain 42% and 55% fructose respectively. HFCS 90, which contains 90% fructose, is also available on the market. Fact # 1: HFCS is NOT a natural food. 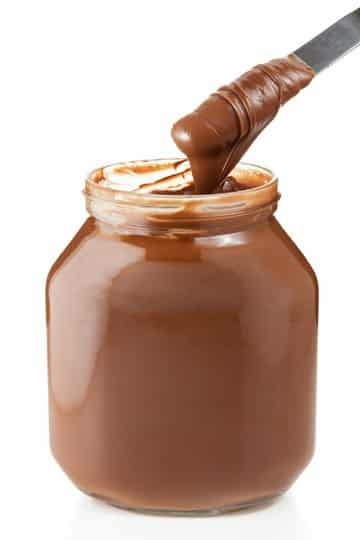 Companies such as Cadbury and Kraft have been criticized for labeling their products as ‘natural’ when they contain HFCS. Guess what refutation these food companies came up with? You’re right: corn is natural and HFCS doesn’t contain any chemical ingredient. To understand why this is blatant misinformation, it can help to know how HFCS is produced. Pure corn syrup is 100% glucose, a sugar molecule which is less sweet than fructose. To make HFCS, corn (maize), which is generally genetically modified, is first ground to produce corn starch. This starch is then processed into corn syrup which is not yet sweet enough for use in food manufacturing. 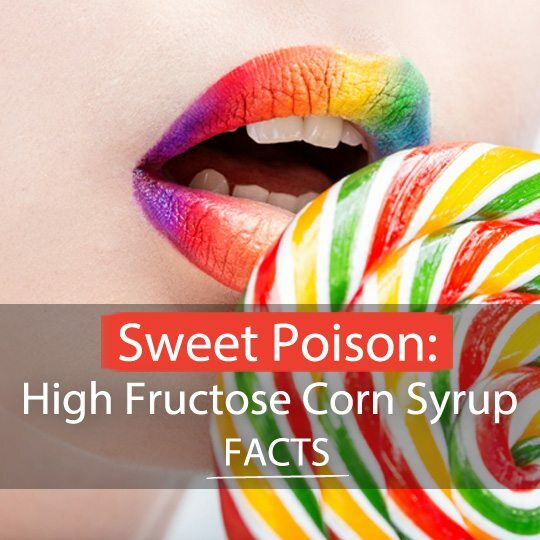 To enhance its sweet taste, synthetic substances such as glucose isomerase are added to the corn syrup – this process converts some of the glucose into fructose. Does this sound natural to you? Even the FDA has objected to the use of the term ‘natural’ on a product that contains HFCS due to the chemical agents used in its production! Fact # 2: HFCS contains contaminants including mercury. Scientists have found that HFCS often contains mercury due to the chlor-alkali products used in its manufacturing. Fact # 3: Research ‘showing’ that HFCS is the same as table sugar is backed by Big Food. Before I dive into this, let me make this clear: I am not trying to imply that sugar is better for you than HFCS because they both adversely affect health. My point in writing this article is to raise awareness about HFCS because Big Food is spending a fortune in trying to prove that this product is not unhealthy. Some say that there’s not much difference in the chemical structure of common HFCS and table sugar since both substances contain similar amounts of glucose and fructose. However, in HFCS, the fructose and glucose are not chemically bonded – these sugar molecules are floating free. On the other hand, the fructose and glucose in regular table sugar are chemically linked to each other and need to be separated in the gut. What this means is that the fructose in HFCS is more readily available that than the fructose in table sugar. The question is: is this difference relevant from a health perspective? According to many reputable health websites, it isn’t. Equal amounts of HFCS and regular sugar exert the same effects on the body in terms of satiety, weight gain and insulin function. Similar doses of HFCS and table sugar have similar effects on hunger hormones. HFCS and table sugar can adversely affect health when consumed in excess. In other words, based on current ‘evidence’, HFCS appears to be no worse than table sugar. But I had a look at all the research claiming that HFCS is similar to table sugar. And guess what? In all the studies, the authors were ‘consultants to the food and beverage industry in nutritive sweeteners, including HFCS and sucrose’ or presently associated with the Corn Refiners Association, ConAgra Foods, PepsiCo International and Kraft Foods. Some of the research was supported by grants from the Corn Refiners Association. Need I say more about the quality of the study results? Check out this video for a brief overview of the dangers of HFCS. Fact # 4: HFCS does cause weight gain. Fact # 5: Excess fructose intake has been linked to various adverse health effects. Now, imagine that you’re drinking 16oz of soda. 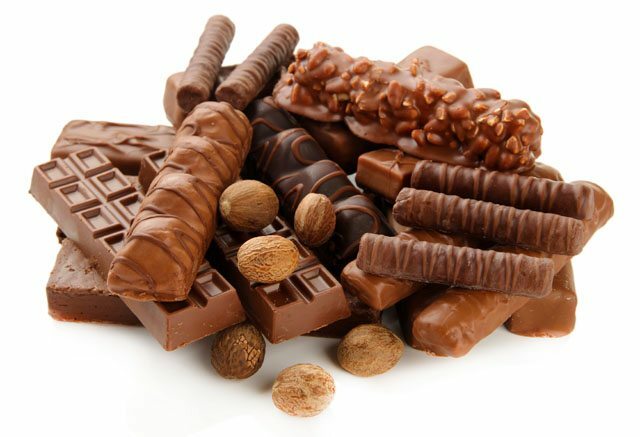 This huge intake of fructose will have various deleterious effects on the body. 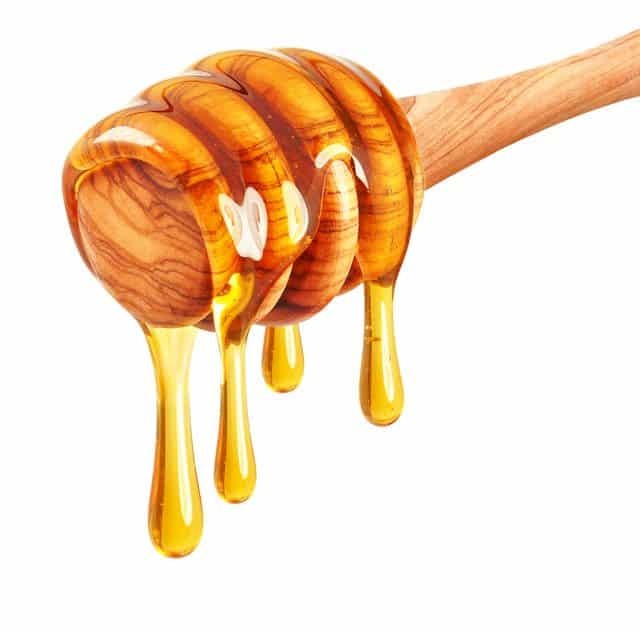 Fructose tricks the body into thinking that we’re not full by reducing the levels of leptin – the production of this hormone depends on insulin levels. Since insulin and leptin are both involved in regulating how much food we eat, if levels of these hormones do not increase, the brain will not ‘see’ that you have consumed something. And you remain hungry. 2. It causes insulin resistance. You’re probably thinking ‘If fructose does not increase insulin production, how can it lead to insulin resistance?’ Well, as mentioned earlier, excess fructose promotes accumulation of body fat which promotes inflammation and gradually leads to insulin resistance. 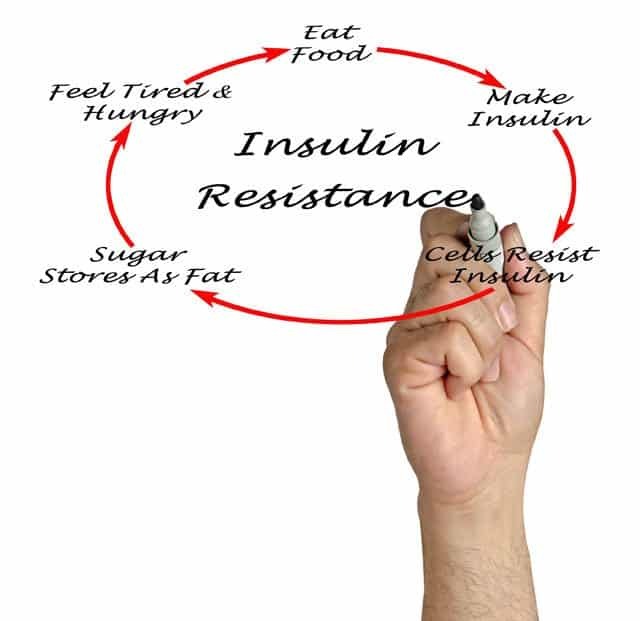 Without specific lifestyle changes to improve the body’s ability to use insulin, this state of insulin resistance can progress to diabetes. 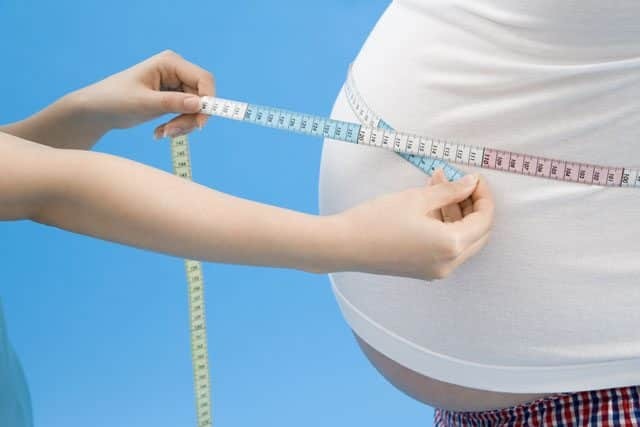 Insulin resistance has also been linked to the metabolic syndrome, a condition characterized by high levels of triglycerides (fats in the blood), increased blood pressure, excess body fat and abnormal sugar levels. 3. It damages the immune system. Research suggests that excessive fructose can tone down the immune system by decreasing the effectiveness of neutrophils, immune cells that help us fight diseases. The reason is that an excessive fructose intake causes inflammation and since neutrophils need to respond to this inflammation, they are less available to combat bad bugs. And according to Dr Bruce Ames, a nutritional scientist, the free fructose in HFCS requires more energy to be absorbed in the digestive tract. As a result, less energy (or ATP) is available to maintain the health of our gut in which 80% of our immune system is found. 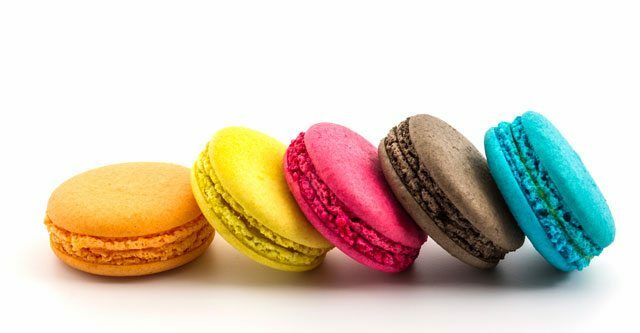 This being said, sugar and excess fructose aren’t the only factors that suppress the immune system: anything that favors inflammation (read excess body fat, lack of sleep, abnormally high cortisol levels and an unhealthy diet) will also weaken our body’s defense mechanisms. 4. It may lead to autoimmune conditions. Since excessive fructose weakens the gut, research suggests that it can eventually punch holes in the intestinal lining. This allows harmful bacteria and partially digested food proteins to enter the bloodstream where they are not supposed to go – this triggers an immune reaction and widespread inflammation. 5. It damages the liver. Since the glucose and fructose in HFCS are not chemically linked, consuming HFCS causes a sudden influx of fructose which goes straight to the liver. This triggers the production of fats such as cholesterol and triglycerides leading to liver damage and a condition known as ‘fatty liver’. 6. It may increase risks of gout. Research suggests that women who consumed just one soda per day were 74% more likely to develop gout compared to those who rarely did. 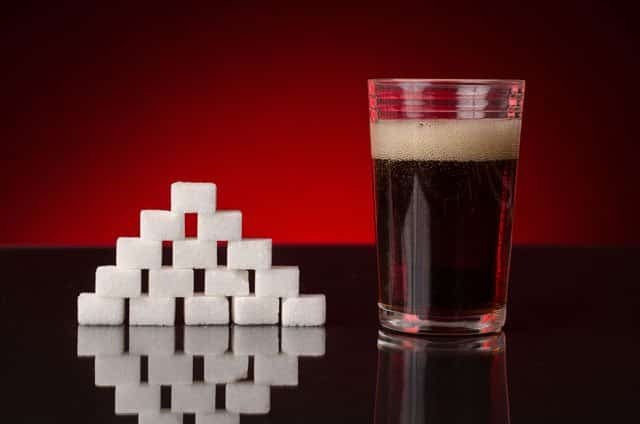 And another study showed that men who drank at least two sodas a day had a whopping 85% higher risk of gout compared to those who had less than one soda per month. In a nutshell, the root cause of gout is an excess of uric acid in the blood. When this happens, the uric acid crystallizes and the crystals end up in and around the joints where they cause inflammation, swelling and pain. Wondering what’s the link between fructose and gout? Well, fructose not only increases the production of uric acid but it also decreases its excretion leading to high levels of uric acid in the bloodstream. Fact # 5: Most products that contain HFCS offer little nutritional value. ‘Foods’ containing HFCS are often loaded with empty calories and various artificial ingredients that will do nothing to keep you healthy. So… How can you avoid high fructose corn syrup? Steer clear from sodas and other sweetened drinks – these are loaded with HFCS. Avoid foods that routinely contain HFCS such as commercial baked goods, commercial ketchups, commercial cereals, stuffing mixes, commercial sauces, crackers, candies, canned fruits, spreads, salad dressings, jams and jellies. Be on the lookout for HFCS 90 which is added to natural and ‘light’ foods. The Corn Refiners Association came up with a sneaky name change for this product: instead of mentioning high fructose corn syrup on the label, products that contain HFCS will now state ‘fructose’ or ‘fructose syrup’. The worst part is that many products containing HFCS 90 are now claiming to be ‘free from high fructose corn syrup’ since, according to Big Food, high fructose corn syrup refers only to HFCS 42 and HFCS 55. 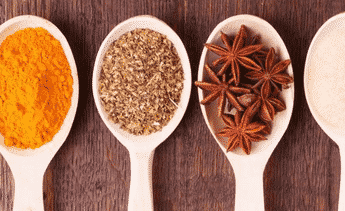 Avoid products that list ‘flavorings’ or ‘assorted seasonings’ in the ingredient list – these terms may be used to indicate the presence of HFCS. Choose whole fruits or small amounts of organic, unpasteurized fruit juices that contain no added sugar – commercial juices and smoothies often contain HFCS. 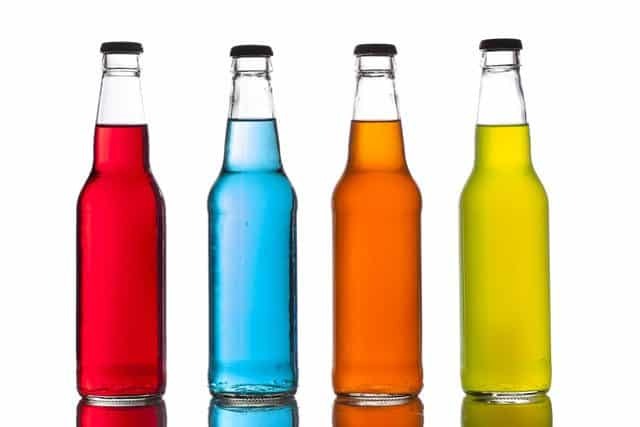 Avoid products that contain any of the following: glucose-fructose syrup, iso-glucose, dahlia syrup, tapioca syrup, glucose syrup, corn syrup, crystalline fructose or fruit fructose. 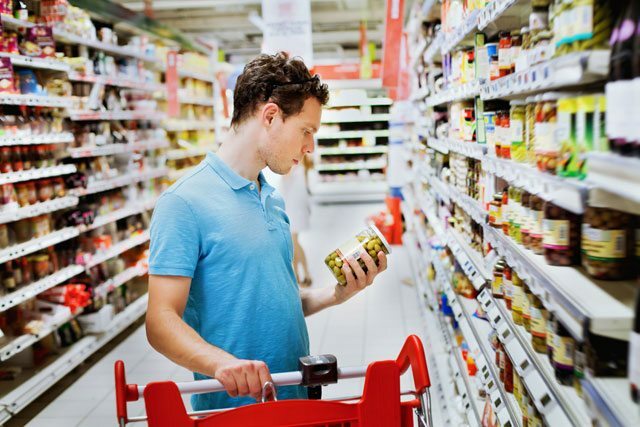 Don’t want to scrutinize food labels? Then the best way would be to eat only homemade food made from unprocessed, fresh and organic ingredients you can get at a local farmer’s market or when you shop the supermarket’s perimeters. For instance, you could make your own fizzy lemonades using some seltzer water, raw honey and fresh or frozen fruits. 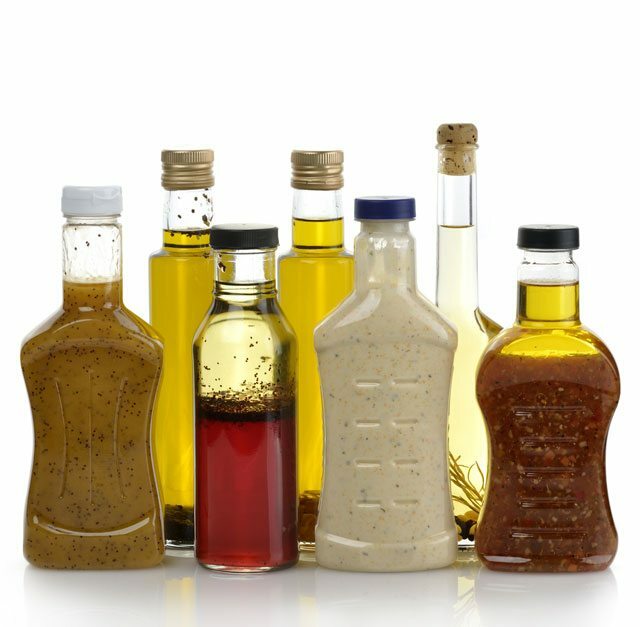 Or you could make your own dressings using infused oils, apple cider vinegar and condiments you like. What about sugar substitutes? Check out this article written by another author. Ultimately the choice to consume or avoid HFCS is all yours but I’m curious: on which side of the fence are you when it comes to high fructose corn syrup? Do you agree with health advocates who believe that this artificial sweetener is one of the leading causes behind our declining health? Or is high fructose corn syrup the same as sugar for you?